Portfolio construction needs in the marketplace have evolved over the past few years, especially when it comes to risk profiles. To address investors’ shifting needs head-on, Loomis, Sayles & Company tightened guidelines on its popular multisector Investment Grade Bond Fund in November. As volatility picked up across global markets in late 2018, changes to eliminate equity and foreign currency investments appear to be timely. 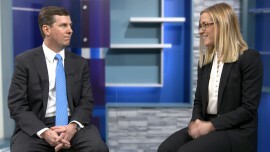 Elaine Stokes, Fixed Income Manager on Loomis Sayles’ Investment Grade Bond and Multisector Full Discretion team shares her views on removing the volatility associated with equity and non-dollar while maintaining a flexible multisector fixed income strategy. 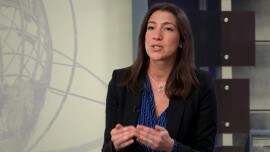 She also provides insight on market risks, value opportunities and duration moves in 2019. Can you walk us through the changes to the Investment Grade Bond strategy? Sure. The key changes are that we no longer allow the purchase of equity or non-US dollar investments in the portfolio. The other change is that we have increased our maximum allocation to the high yield sector from 10% to 15%. Other than that, we continue to manage the portfolio in the same long-term, value-driven style we are known for. Will the strategy continue to have the flexibility needed to deliver excess returns over a full market cycle? Yes, we believe it will. We are giving up currency and equity levers, but they brought along significant volatility at times. What we are replacing them with, we believe, is a more predictable return stream in the likes of additional select high yield and securitized investments for the most part. We think we have a significant edge in this area given Loomis Sayles’ deep credit research capabilities and security selection expertise. We believe this can be a nice counter to taking out some of that equity and currency risk. Overall, our Multisector Team’s approach of identifying undervalued bonds with favorable current yield and strong prospects for price appreciation doesn’t change. How did you react to the market volatility pickup in late 2018, right around the time the guideline changes were implemented? Volatility is opportunity for us value-driven investors. In the last quarter, especially during the last two weeks of the year, we were closely watching the markets because we didn’t know which direction they were going to move – for example 700 points up or down in the equity market. When you have uncertainty combined with less liquid markets at the end of the year, the result is extreme volatility. You get volatility sometimes in spaces that really aren’t the crux of the problem. For example, although high-yield energy was trading off for one reason, it didn’t make sense that the whole high-yield sector should have been trading off. This created opportunity for us. 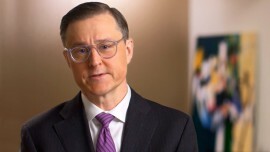 What do you see as a top macro risk for 2019? A negative outcome from trade policy discussions has the potential to significantly weaken risk appetite and accelerate an economic slowdown. Conversely, an agreement on trade could lead to a meaningful market recovery. Fed rate hikes were a volatility catalyst in 2018. 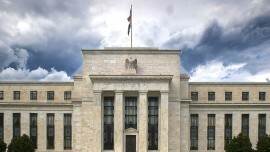 What’s your interest rate outlook? We think the Fed is going to be on hold probably for the next six months, but we would expect to see the Fed try to resume raising rates in the second half of the year. Maybe once, maybe twice. Given the amount of volatility in the marketplace, it’s probably wise for the Fed to take a step back. Greater uncertainty and fear could negatively influence the economy and the consumer. That said, we still have a strong economy in the US, as evidenced by the employment numbers. Also, we expect China to stimulate their economy more, which should help the global economy by the second half of the year. So, you’re not repositioning for an economic downturn in 2019? We are not in “the cycle is turning” camp. We believe a fair amount of slowing growth is due to the inventory cycle and do see the potential for some pickup in growth in the second half. We remain cautious on taking on more interest rate risk at present levels. Our forward-looking view is that rates will be higher at some point in this cycle. Geopolitical and political risks are rising and outcomes from trade negotiations, actual Fed policy and developments abroad could have meaningful impacts on forward yield curve moves. As we entered 2019, our strategy was to maintain a higher quality bias within credit markets as a whole given the aging of the credit cycle. We continue to favor sectors that are exhibiting credit improvement, such as banking, and those with defensive characteristics. We see more opportunity with the recent selloff in oil and have been selectively buying. On the other hand, we are limiting our exposure to industries with more challenging business trends, such as retail and home construction. What’s your current view of the high yield sector? Overall, we think high yield valuations are attractive for the late expansion phase of the cycle – given recent spread widening, low forward-looking default expectations and continued strong domestic employment. We are continuing to find select value opportunities in the US high yield space. Are you thinking about pushing duration out? Unless we see a major move in the Treasury market one way or another, I don’t see us really ratcheting duration out quickly. What I would expect to see over time, as some of our reserves get deployed into investments such as credit, convertible bonds, and securitized, is duration to naturally begin to extend – as we get later into the cycle. When it makes sense. You mentioned reserves. Could you explain their importance today? Our reserve position is really doing two things. It’s anchoring the duration and allowing us to take advantage of volatility. For example, in Q4 when things became quite volatile, we were able to take some of that reserve position, which was pretty much in short Treasuries, and use it to buy credit – both high yield and investment grade – that we believe was attractively priced. Fixed-income securities may carry one or more of the following risks: credit, interest rate (as interest rates rise bond prices usually fall), inflation and liquidity. Foreign and emerging market securities may be subject to greater political, economic, environmental, credit, currency and information risks. Foreign securities may be subject to higher volatility than U.S. securities, due to varying degrees of regulation and limited liquidity. These risks are magnified in emerging markets. Below investment-grade fixed-income securities may be subject to greater risks (including the risk of default) than other fixed-income securities. Mortgage-related and asset-backed securities are subject to the risks of the mortgages and assets underlying the securities. Other related risks include prepayment risk, which is the risk that the securities may be prepaid, potentially resulting in the reinvestment of the prepaid amounts into securities with lower yields. Before investing, consider the fund’s investment objectives, risk, charges and expenses. 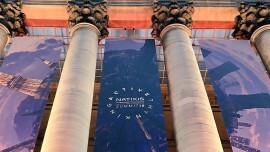 Visit im.natixis.com or call 800-862-4863 for a prospectus containing this and other information. Read it carefully.